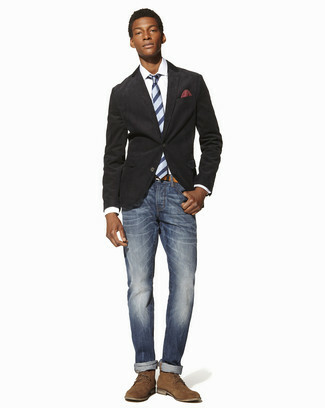 Try pairing a navy blazer with a red and white polka dot pocket square for a relaxed take on day-to-day wear. 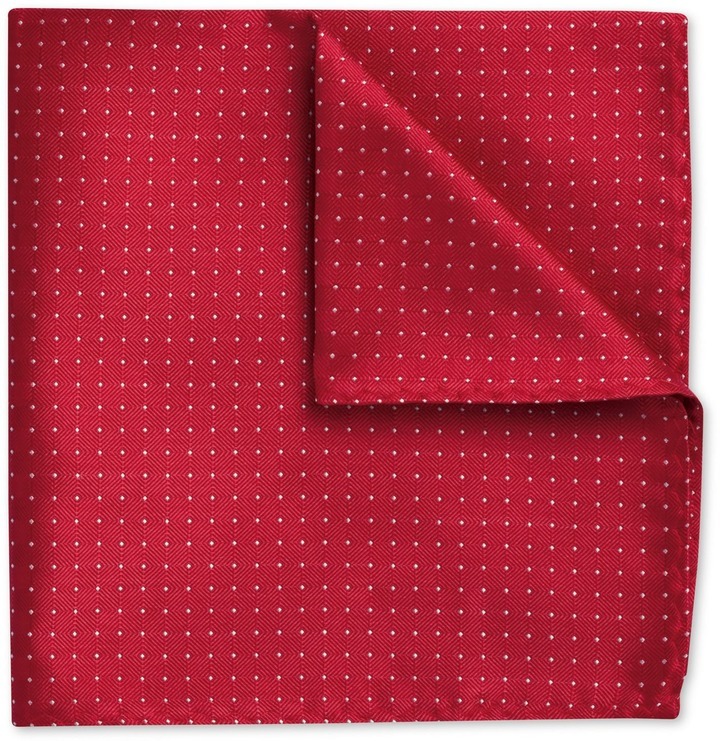 If you prefer comfort dressing when it comes to fashion, you'll love this cool combination of a charcoal cotton blazer and a Charles Tyrwhitt red and white polka dot pocket square. 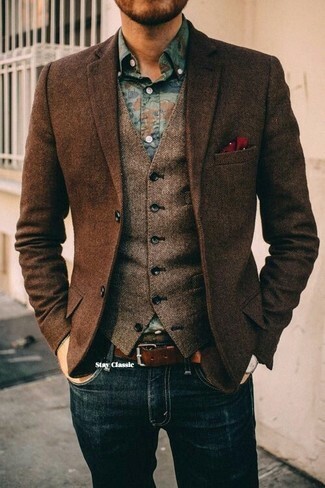 You could perhaps get a little creative in the footwear department and elevate your ensemble with tan suede desert boots. 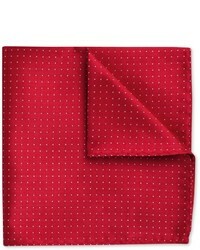 If you're on the hunt for a casual yet on-trend look, rock a navy double breasted blazer with a red and white polka dot pocket square. As well as very comfy, these items look amazing when paired together. 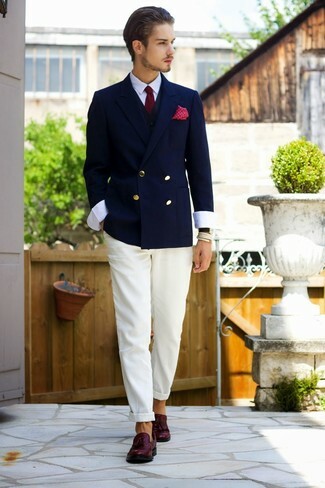 Bump up the cool of your getup by finishing off with dark purple leather tassel loafers. 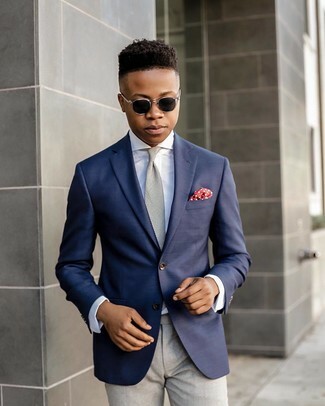 Consider teaming a dark brown herringbone wool blazer with a red and white polka dot pocket square if you're in search of an outfit idea for when you want to look casually cool. 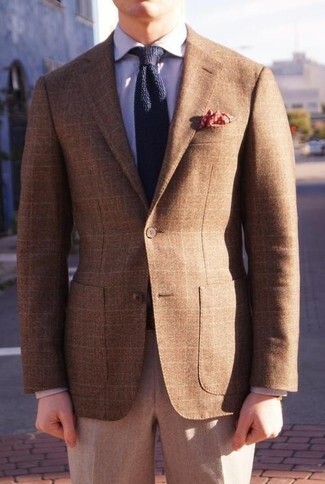 If you prefer relaxed dressing when it comes to your personal style, you'll love this simple combination of a brown plaid blazer and a red and white polka dot pocket square. 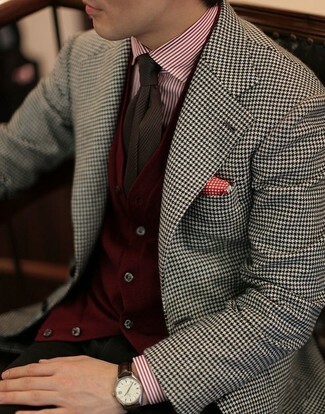 If you prefer functionality dressing when it comes to fashion, you'll love this easy pairing of a white and black houndstooth blazer and a Charles Tyrwhitt Red Pin Dot Silk Pocket Square. 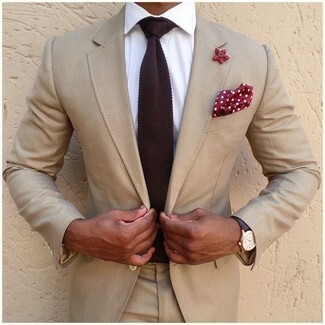 If you're scouting for a casual yet stylish look, try pairing a beige suit with a Charles Tyrwhitt red and white polka dot pocket square. As well as totally comfy, these pieces look great paired together.